Innovation not imitation; that’s the TPC Racing advantage. With 23 Pro Rolex Grand Am wins and 43 podiums, TPC Racing’s only focus is the pursuit of perfection in performance. We are now proud to offer a package to take the phenomenal power of the 997Turbo, to the next level. Our newest line of upgrades for the 997Turbo includes: TPC Racing RSx Turbochargers, TPC Racing RSx 127mm Intercoolers, Europipe Stage 2 Exhaust, and TPC Racing ECU tuning. As with all TPC Racing kits; this package has seen extensive testing including hundreds of dyno pulls, track sessions as well as real world driving. This combination of the right parts, and unrivaled tuning prowess have given TPC Racing the ability to produce the world’s most powerful pump gas VTG turbo upgrade package. Because of this kit’s unmatched power and efficiency, this kit has been appropriately dubbed the TPC Racing 775RSx. Innovation not imitation; that’s the TPC Racing advantage. With 23 Pro Rolex Grand Am wins and 43 podiums, TPC Racing’s only focus is the pursuit of perfection in performance. We are now proud to offer a package to take the phenomenal power of the 997Turbo, to the next level. Our newest line of upgrades for the 997Turbo includes: TPC Racing RSx Turbochargers, TPC Racing RSx 127mm Intercoolers, Europipe Stage 2 Exhaust, and TPC Racing ECU tuning. As with all TPC Racing kits; this package has seen extensive testing including hundreds of dyno pulls, track sessions as well as real world driving. This combination of the right parts, and unrivaled tuning prowess have given TPC Racing the ability to produce the world’s most powerful pump gas VTG turbo upgrade package. Because of this kit’s unmatched power and efficiency, this kit has been appropriately dubbed the TPCRacing 775RSx. Performance is not just all about max horsepower and torque numbers but usable horsepower and torque, that is the TPC Racing advantage! Between 4000 and 6500 rpms the 775RSx develops approx. 770lb/ft of gut wrenching torque. Every part of this system works with a very specific purpose in mind. When paired with TPC Racing tuning, our extensive knowledge of tuning turbocharged Porsches will unleash the full potential of your 997Turbo. With an absolutely MASSIVE 770lb/ft of torque(658lb/ft at the tires), the TPC Racing 997TurboBlitz will warp your perception of reality! Unleash an avalanche of torque at any RPM with the 775Blitzkrieg. 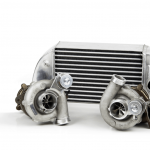 At the heart of our TPC Racing 775Blitz system are our modified Blitzkrieg VTG Turbochargers. 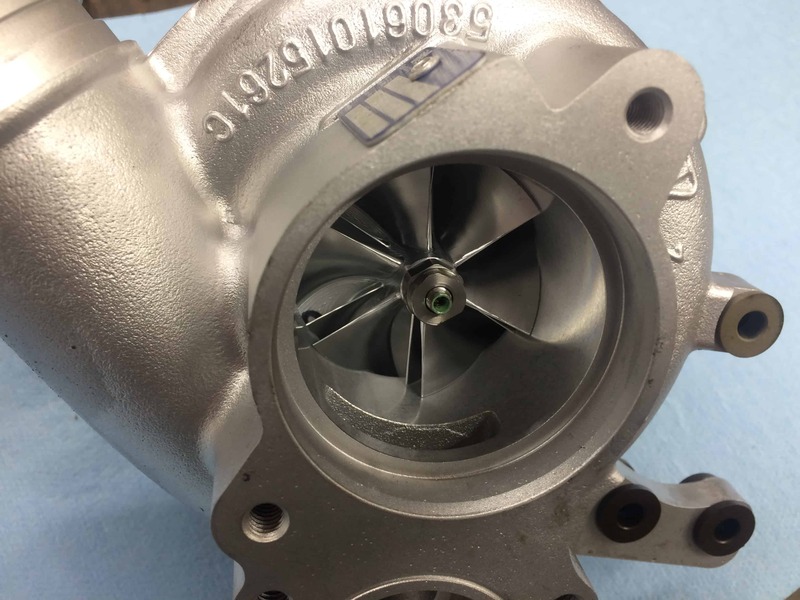 The TPC Racing 775B VTG Turbochargers feature a compressor inducer that is 2.0mm larger than the stock GT2, and a 1.5mm larger exducer. TPC’s highly modified turbine section increases swallowing capacity to help create an enormously broad torque band, ensuring tremendous power throughout the rev-range. The final step is to increase turbine gas flow by extruding the interior of the turbine section. 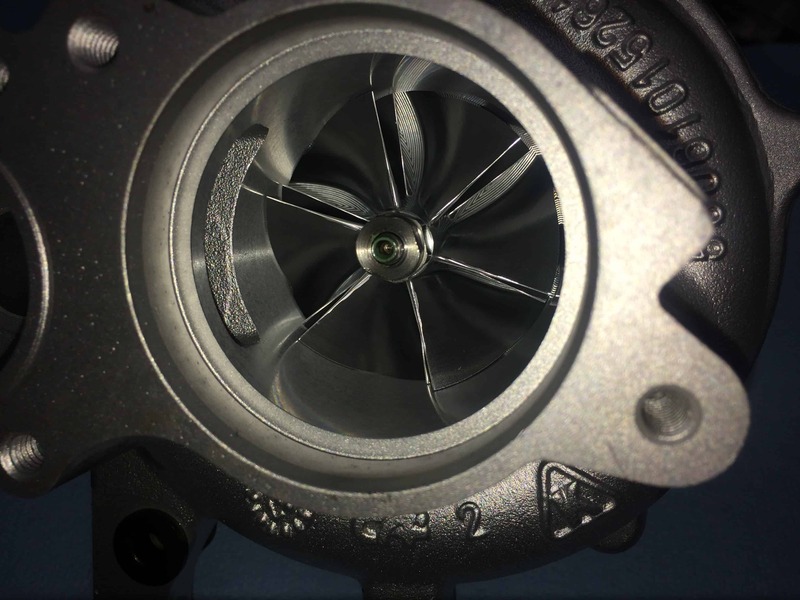 This resulting larger A/r not only allows for increase turbine flow, but it’s polished surface also cuts down on turbulance within the exhaust flow! This amounts to a turbocharger that is 33% more efficient than a factory GT2 unit! 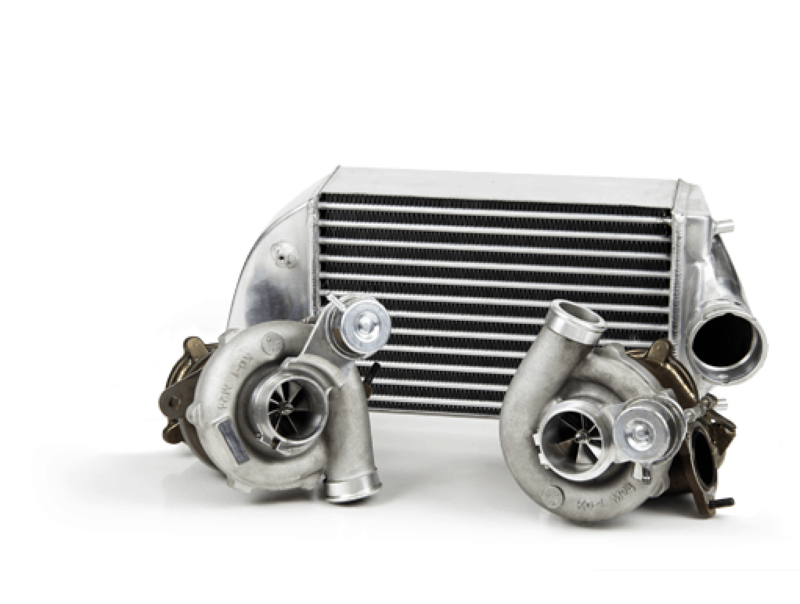 Intercoolers play a vital role in the overall performance of any turbocharged/supercharged vehicle. There are several variables that must be controlled in order to create the most effective/efficient intercooler possible; especially in high horsepower applications. A high performance intercooler must do several things. It must have enough total airflow(CFM) to satisfy the engine’s needs, whether at idle, or at 100% load. The best intercoolers must also be able to control pressure drop across the core. By controlling the pressure drop across the core, TPC Racing is able to generate more power at lower boost levels(measured at the turbocharger). By controlling the pressure drop across the cores, the turbochargers do not need to operate at as high a boost level to counter this pressure drop. This lends itself to the overall reliability and longevity of the TPC Racing 775Blitzkrieg. With a whopping 127mm(5″) core; a full 52mm larger than the factory 997TT units, the TPC Racing Blitzkrieg Intercoolers are ready to improve the efficiancy of any 996/997Turbo/GT2. The TPCRacing Blitzkrieg Intercoolers directly bolt into the factory positions and reuse the factory ducting with minor modification. It is absolutely essential to reuse the factory ducting, as it’s designed to direct fresh, cool air over the surface of the intercoolers, greatly contributing to the intercooler’s overall thermal efficiency. Without this ducting, air will run into sever turbulance in front of the turbocharger, greatly reducing it’s efficiency and cooling ability. This ground breaking new design has seen benefits of nearly 200lb/ft of torque by 3200RPM with our TPC Racing Blitzkrieg Routine Programming. 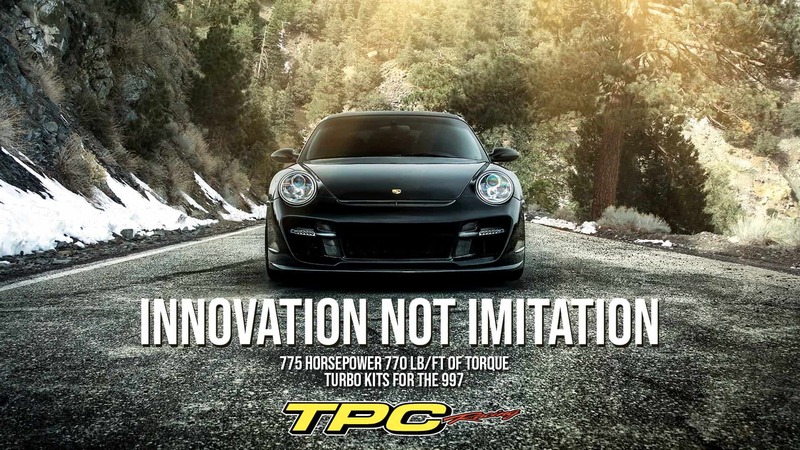 By combining unmatched airflow, thermal efficiency, constant boost levels, and strong secure factory style connectors, TPC Racing has created teh ultimate intercooler package for the Porsche 997Turbo. With the philosophy that “Only the best will do”, TPCRacing turned to the Belgian exhaust builder, EUROPIPE, for the exhaust system for the 775BLITZKRIEG. The Europipe StageII exhaust system was created with high hp applications in mind. After samplinig nearly everything the market had to offer, we were able to easily settle on the Europipe StageII exhaust for the TPC Racing 775B to handle the enormous amount of spent exhaust gas flowing out of the car. The Europipe StageII exhaust system provides the TPC Racing 775B with a sophisticated deep growl that commands attention without being over-bearing. With only small throttle inputs, the driver is treated to a symphony of sound punctuated by the whistle of the turbochargers generating boost. The 775B exhaust system continues the EUROPIPE tradition of extraordinary craftmanship, unparalleled performance, and sophisticated tone. TPCRacing utilizes the most advanced software tuning available. With our unparalleled understanding of Porsche ECU, we have been able to unlock the 997Turbo’s true potential, and unleash raw power, while still maintainig perfect road manners. That is the magic of TPC Racing tuning; huge performance, with perfect drivability. 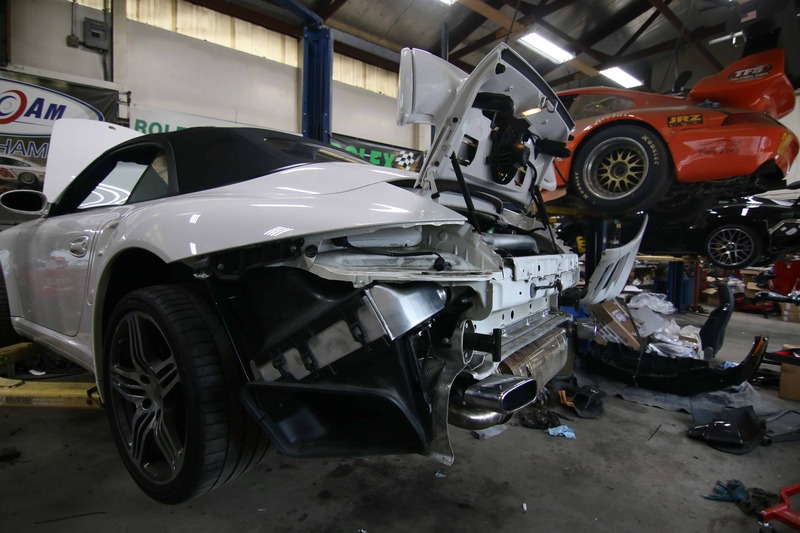 This is one of the most often over-looked pieces of the puzzle when it comes to building a performance vehicle. You can have all the right parts, but if the tuning is not up to snuff, then nothing will work to its full potential. Just check out this magazine article comparing the TPC Racing 775Blitzkrieg to one or our competitors! At TPC Racing, product development never ends. We are always looking for new ways to improve our already fantastic system. 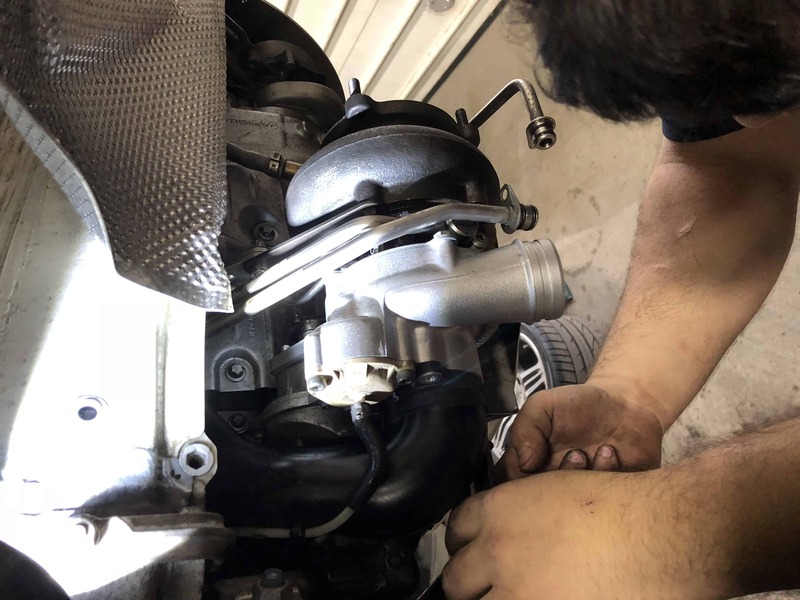 In our quest for more power from our 997Turbo Blitzkrieg program, we began experimenting with different headers, and found a setup that greatly improved exhaust flow, yeilding significant improvements to both the low and mid-range performance. With the addition of the Blitzkrieg Headers, the TPC Racing 775Blitizkrieg packs an even bigger punch than before! Performance in the mid-range has been boosted by an amazing 80whp and nearly 100lb/ft of torque! The TPC Racing Blitzkrieg Headers definitely take the 775Blitzkrieg system to the next level! This increase in performance has boosted the 775Blitzkrieg’s numbers to a whopping 775HP*** and a mind-bending 770lb/ft*** of TORQUE! !